St. Aloysius Catholic Primary School, in Liverpool, is one of the thousands of schools in England and Wales that are part of the new Premier League Primary Stars programme. 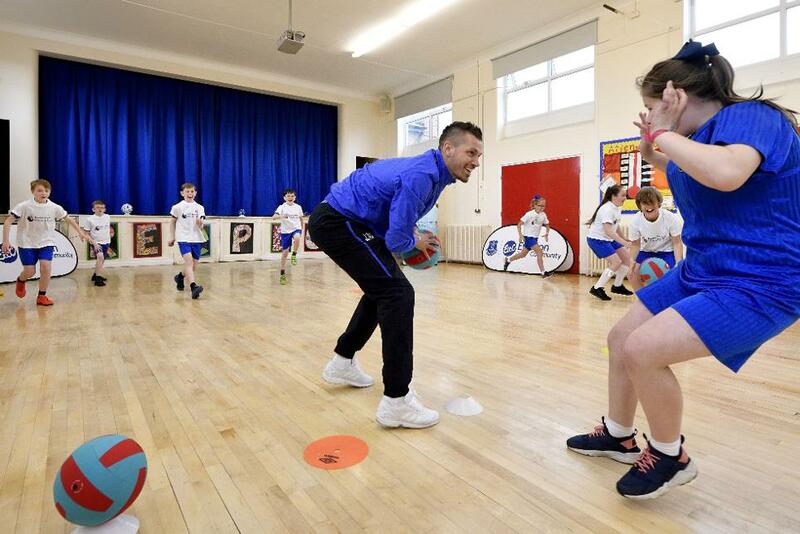 The project, which was launched last month, uses the appeal of professional football clubs to inspire primary school children and provides free teaching resources across Key Stages 1 and 2 in English, Maths, PE and PSHE. For Year 5 and 6 teacher Hannah Evans, the programme is having a significant impact at St. Aloysius. "Premier League Primary Stars is really helping to raise the aspirations of the children and they're thoroughly enjoying the programme," she told evertonfc.com. "Since we started working with the Premier League, the confidence of the children has increased significantly. "PL Primary Stars has been great at teaching the children important life skills such as resilience that they can apply in other lessons and not just sport." Everton's Morgan Schneiderlin saw the programme in action last week on a visit to St. Aloysius, where he joined a PL Primary Stars PE lesson. "It's been great to visit the school today and see how Premier League Primary Stars is inspiring the kids to learn and be active,” the midfielder said. “The dodgeball PE lesson was really fun and helps to teach the kids to improve their communication and discipline." As well as giving his support to the new programme, Schneiderlin also backed the PL Primary Stars Kit and Equipment initiative, which donates items such as shirts, bibs, cones and training balls to schools. Schools have until 9 June to apply for a kit or equipment package via registration for PL Primary Stars.